At first blush, Toyota’s 2018 C-HR looks all the world like a rakish new entry in the compact-crossover segment, but it’s not. At least, not in the traditional sense. However, that may depend on how one defines a “crossover.” Despite the fact that roughly 40-50 percent of small SUVs are purchased in front-wheel-drive form, Consumer Guide’s definition has traditionally included the mandate that it has to at least be offered with all-wheel drive, and the C-HR is not … at least, not yet. The C-HR is one curvaceous little pseudo coupe, and those ritzy wheels are standard — as are a CVT automatic transmission and Toyota’s Safety Sense P suite of high-tech safety features — at the base XLE’s $23,460 starting price. Although the C-HR seems to defy categorization, it doesn’t defy description. At 171.2 inches in length, it falls into the subcompact size class – whether car or SUV. Its 61.6-inch height puts between those two classes, as does its 5.9-inch ground clearance. It likewise has more cargo space than a car, but less than that of most like-sized SUVs, in large part due to its tapered “coupe” roofline. There’s only one powertrain offered: a 144-horsepower 2.0-liter four mated to a CVT automatic transmission. At least at introduction (it’s due to go on sale in April), the only factory option offered will be an “R-Code” two-tone paint scheme, which puts a white roof over Blue Eclipse Metallic, Radiant Green Mica, or Ruby Flare Pearl paint. As the C-HR was originally intended to be sold under the now-defunct Scion nameplate (which it wore when shown in concept form at the 2016 Los Angeles Auto Show) – and Scion tended to lean toward “mono-spec” cars (one trim level and no options) – the C-HR doesn’t offer as many choices as most Toyota models. There are XLE and XLE Premium trim levels, seven exterior color choices (three in two-tone), and … that’s about it. 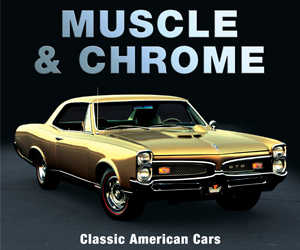 There are no options other than the two-tone paint treatments, though you can get any interior color you want … as long as the interior color you want is black. Many interior surfaces are padded, but the black-on-black color scheme — the only one offered — makes the C-HR seem a bit dark inside. Room is fine for four adults, and the slightly raised ride height allows easier entry and exit than in a car. That – and the fact that the C-HR’s style-to-price ratio was likely thought to be a big part of its appeal – has left it lacking in some rather expected features. For instance, you can’t get a sunroof, leather upholstery, navigation system, or (surprisingly) satellite radio or Apple CarPlay/Android Auto. But that doesn’t mean the cars aren’t well equipped. Standard on the base XLE — which starts at $23,460 including destination — are all the expected items plus one that isn’t: Toyota’s TSS-P (Toyota Safety Sense P) suite of high-tech safety features, which includes forward collision warning and mitigation with pedestrian detection, lane-departure warning and mitigation, automatic high beams, and adaptive cruise control. Also unusual as standard are 18-inch alloy wheels, 7-inch touchscreen, dual-zone automatic climate control, auto-dimming inside rearview mirror, and rearview camera. Added on the $25,310 XLE Premium are blind-spot and rear-cross-traffic alert, heated front seats, sport driver seat with power-adjustable lumbar support, and keyless access and starting. With its standard 18-inch alloy wheels and swoopy lines, C-HR certainly looks the sporty part. Toyota made much of the fact that the suspension featured sports-car componentry fine-tuned on the famed Nurburgring racetrack in Germany (where virtually every true sports car gets wrung out). But the raised ride height also raises the center of gravity, which doesn’t do anything for handling. Still, the C-HR acquits itself quite well in the twisties, with little body lean and nimble handling if somewhat light steering feel. Over bumps, it wasn’t so much “harsh” as it was “hoppy,” making overall ride comfort perfectly acceptable. Displayed in a corner of the rearview mirror is the rearview camera’s image (along with my hands and cell phone — oops), which is both small and not where you’d expect to see it. Less impressive was the power – or rather, lack of same. In normal driving, the C-HR feels spritely enough. But nail the gas from a stop, and the car “eases” its way off the line, with acceleration picking up at about 25 mph or so. Tip into the throttle while underway, and the CVT transmission moves quickly to a lower ratio for better acceleration, though it’s still far from vivid. There’s a Sport mode that keeps the transmission in a lower gear ratio for quicker response, but it probably doesn’t increase acceleration as much as it decreases fuel economy, and it has to be reset (through multiple steps via steering-wheel buttons) into Sport (from Normal) every time you start the car. Speaking of fuel economy, the C-HR carries an EPA rating of 27 city/31 highway/29 combined. C-HR is fairly roomy for its size, but it’s no match for most subcompact SUVs. There’s good headroom in front (a height-adjustable driver seat is standard), but legroom is merely adequate, perhaps less so for really tall folks. In back, headroom should be sufficient for 6-footers, and even with the seat ahead all the way back, there was just enough legroom for my 5’9 frame. 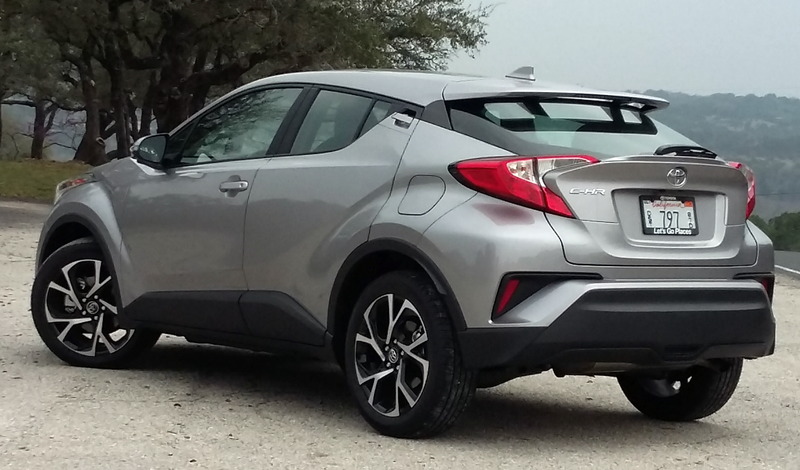 While C-HR is a 5-passenger vehicle, it’s best to think of it as being able to easily accommodate four full-size adults, who will find its higher ride height to simplify ingress and egress compared to a car. 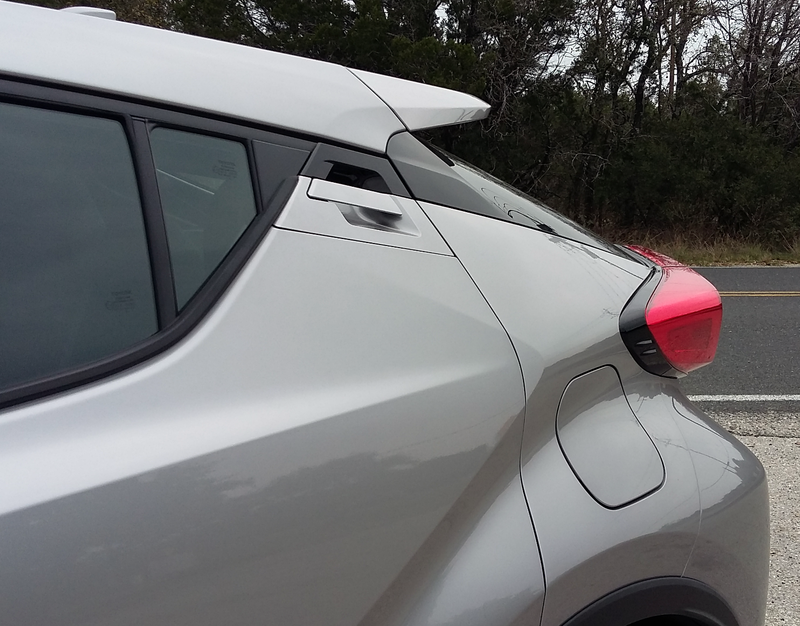 The rear door handles are “hidden” in the rear roof pillars up by the roof, helping to give the C-HR its coupe-like appearance — and a rather large rear-corner blind spot. Adding to the look is the steeply sloped rear window, which cuts into cargo volume. Visibility starts out good at the front corners but diminishes to pretty bad to the rear corners, where thick pillars block a lot of the view. 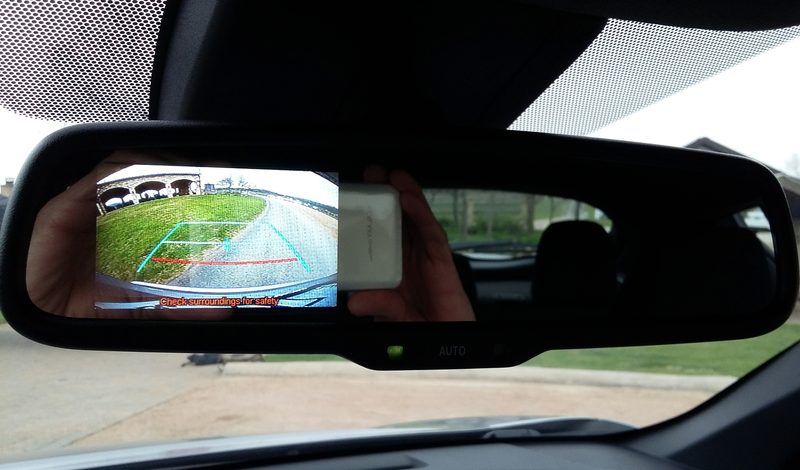 A rearview camera is standard, but it doesn’t display its image on the dashboard touchscreen; instead, it shows up on a small screen in the corner of the inside rearview mirror. Oddly, the sunvisors don’t extend, so when swung to the side, they leave about 1/3 of the side window uncovered. Although the interior features numerous padded surfaces – including the dash top and face, door tops, and armrests – their black surfaces are joined by mostly gloss-black trim, the combination leaving the interior looking a bit drab and dark. 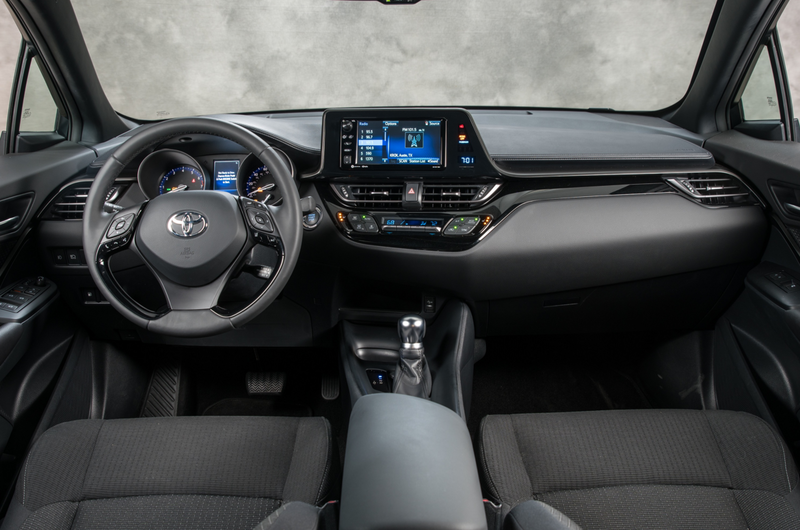 The audio system doesn’t include a CD player (a trending omission), satellite radio, or the aforementioned Apple CarPlay/Android Auto, but does include the Aha app, voice recognition, Bluetooth, and hands-free phone capability. Volume is adjusted with a knob, but manual tuning is done through tedious repetitive-step pushbuttons, with other functions controlled through the touchscreen. Climate controls are all via repetitive-step “flippers.” On the positive side, all controls are within easy reach. Interior storage space is nothing special, and some of the compartments (such as the glovebox and forward console bin with USB/Aux jacks) aren’t the easiest to access. In back, the cargo area is wide at the rear with a high, easy-to-load floor, but the fastback roof cuts off the top edge of the space, so tall, boxy cargo has to be slid far forward. Fortunately, that’s easy, as the rear seat backs fold flat and level with the cargo floor, under which there’s some added storage space. The cargo area is wide at the rear but not very tall, though it can be expanded by folding the rear seat backs, which rest flat and level with the cargo floor and offer more cargo height above them. There’s also some added storage space beneath the floor. As it stands, the C-HR offered here seems to have artificially limited appeal. We say, “offered here,” because it’s been on sale in other parts of the world since late last year, and in at least some of those markets, it’s available with a manual transmission and all-wheel drive. And we say, “artificially,” because it seems to unnecessarily snub its intended youth audience by not offering satellite radio or Apple CarPlay/Android Auto, which are all certainly in the Toyota arsenal. And you can bet all that came up at the press preview. Word we got from Toyota was that – as mentioned above – it was intended to be a Scion with limited build combinations (likely varying only in paint color), and there wasn’t much time to make many changes before the intended on-sale date (splitting the line into two trim levels being about all that could be accomplished). But the company also noted that it would be gauging customer reaction to see what additional features were most called for, and the most popular would very likely be added to future production models. But until that time, the C-HR can be credited with being a seriously stylish, unique-looking car that’s both decently sporty and reasonably practical. And perhaps because of what will likely be limited sales, “exclusivity” may be another point in its favor. C-HR is a stylish little car that doesn’t sacrifice much in the way of utility to achieve its rakish looks. And if/when Toyota brings in its all-wheel-drive sibling from overseas, it will qualify as a stylish little crossover. Written by: Rick Cotta on March 9, 2017.